The Wheelchair Basketball Junior Program is a program that is new to ParaSport and Recreation PEI. It is a program designed to teach youth between the ages of 7-16 the basic fundamental skills of wheelchair basketball in a fun and interactive atmosphere. The program runs every Tuesday from 5:00-6:00pm at UPEI Gymnasium and is open for all abilities and skill levels. However, youth with disabilities do take priority and spaces are limited. The program will run through until April. 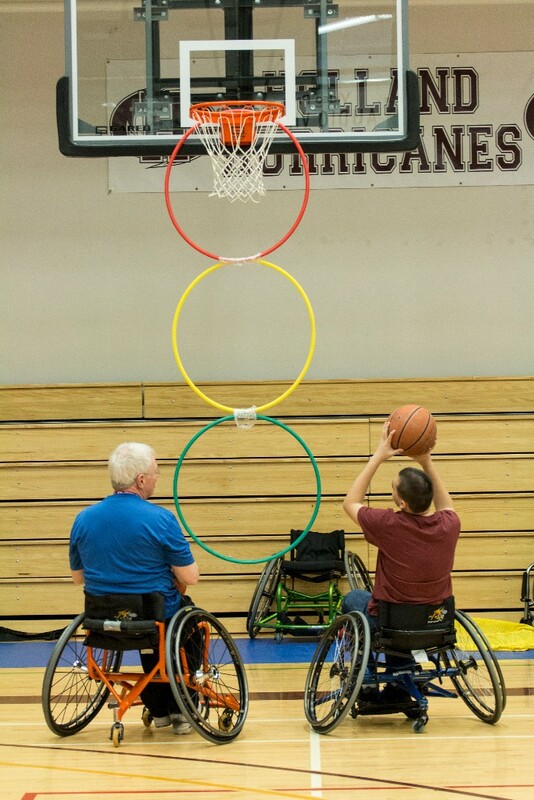 ParaSport and Recreation PEI is willing to provide education opportunities and resources for the applicants that may not have adequate experience with the sport of wheelchair basketball. To introduce youth to the sport of wheelchair basketball through interactive activities and drills. To educate the importance of physical literacy to participants. To work alongside ParaSport and Recreation PEI staff to develop lesson plans and goals for the program. Please contact the ParaSport and Recreation PEI office by emailing [email protected] or by calling (902) 368-4540.